76 Sydney Street South | SIREG Management Inc. 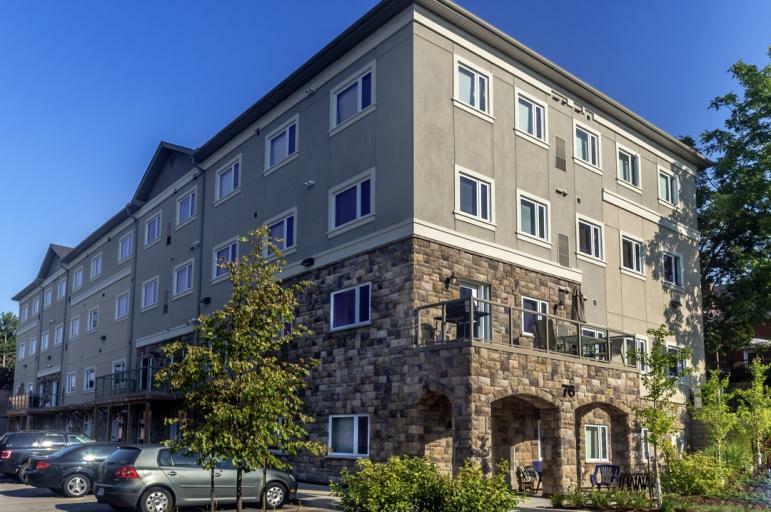 This stylish 34 unit development was constructed in 2009 and features unique one and two bedroom designs that are perfect for the mature or executive tenant. Located adjacent to a quiet, residential neighbourhood, all units come complete with 5 appliances, ensuite laundry and decorative finishes. Several designs feature walkouts to balcony or private patio. Inquire about availability today! 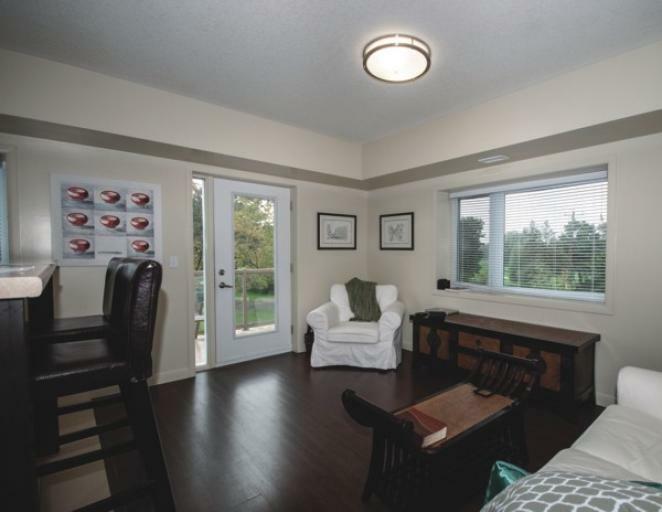 This luxury building is located directly across from the Rockway Golf Course, while transit, highways, parks, trails & shopping are just a short distance away! Luxurious bachelor suite! Stylish finishes & 5 appliances including stainless steel dishwasher, fridge & stove along with in-suite washer & dryer, 9ft ceilings, engineered hardwood floors, central air & surface parking! Utilities extra. Luxurious one bedroom designs with varying layouts for the discerning tenant! Stylish finishes & 5 appliances including stainless steel dishwasher, fridge & stove along with in-suite washer & dryer, 9ft ceilings, engineered hardwood floors, central air & surface parking! Utilities extra. Stylish & spacious two bedroom two bath designs with varying layouts for the discerning tenant! 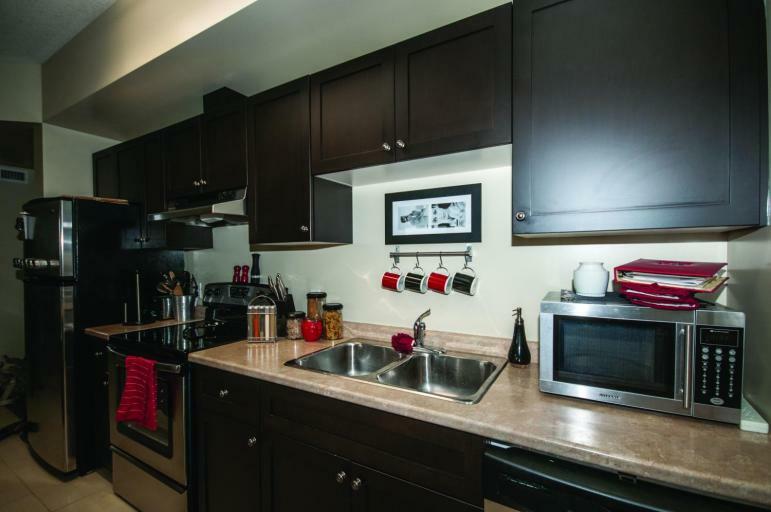 Suites include 5 appliances including stainless steel dishwasher, fridge & stove along with in-suite washer & dryer, 9ft ceilings, engineered hardwood floors, central air & surface parking! **Several 2 bedroom layouts are $1250/mth due to larger square footage or premium location with balcony**Availability varies, call to inquire.